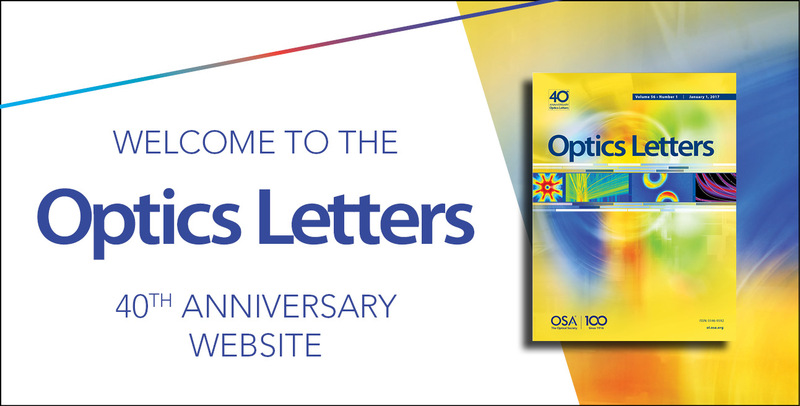 Since 1977, Optics Letters (OL) has been advancing the science of optics and photonics by publishing high-quality papers rapidly. To celebrate, OSA launched this website collecting material from OL's rich history. Enjoy free access to the 100 most-cited Optics Letters papers of all time. Learn more about the Editors of Optics Letters. Browse commemorative editorials as they are published as well as historic editorials and other documents published in OL and OPN. Read important content published in the journal throughout its 40 years, revealing the development of several topics.